Trade unionist, socialist, member of the anti-fascist movement, Member of the Transvaal Provincial Parliament, founder and Chairman of the Treason Trial Defence Fund and Chairman of the South African Defence and Aid Fund, writer and author. Alex Hepple was born in the Johannesburg suburb of La Rochelle on 28 August 1904. His father, Thomas Hepple (1869-1942), an immigrant from Sunderland, was a shop steward of the Amalgamated Society of Engineers and was blacklisted for his part in the 1913 strike. Thomas and his wife, Agnes (nee Borland) were founder members in 1908 of the South African Labour Pa rty (SALP). Alex Hepple was a committed democratic socialist, active in trade unions, the anti-fascist movement, and the SALP from an early age. He was elected Labour Member of the (then) Transvaal Provincial Council in 1943, and Member of Parliament for the Rosettenville constituency in 1948 and 1953. He lost his seat in 1958 when the white, mainly English-speaking working-class electorate rejected the liberal race policies which the SALP had developed under Hepple's leadership. Hepple was Leader of the South African Labour Party (1953-58), a founder and Chairman of the Treason Trial Defence Fund (1956-61), and Chairman of the South African Defence and Aid Fund (1960-64). 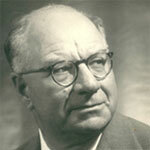 He and his wife Girlie (Josephine Hepple, nee Zwarenstein) re-established the Labour newspaper, Forward, in 1962. When anti-press laws forced its closure in 1964, he and Girlie moved to England, founded, and ran the International Defence and Aid Fund's Information Service, which reported on detentions, trials and repression by the Nationalist government. He was the author of Verwoerd (Pelican, 1967) and South Africa: a political and economic history (Pall Mall, 1966), as well as numerous pamphlets and articles on political and trade union affairs in South Africa. The liberal press described Hepple as a 'brilliant parliamentarian [who] was admired by both sides of the House for the battle he waged on behalf of South Africa's workers, white and black' (Rand Daily Mail, 15 March 1958) an as 'the militant champion who always spoke up for the underprivileged and for social justice' (Sunday Express, 17 June 1956). When Hepple died, Alfred Nzo, Secretary-General of the African National Congress (ANC), wrote that he 'was known and loved by the oppressed people of South Africa for his opposition to the draconian apartheid policies of the South African regime' (Letter to Girlie Hepple dated 21 November 1983), and SACTU's (South African Congress of Trade Unions) former assistant general secetary said that 'we could not have achieved what we did in SACTU without Alex' (Letter from Phyllis Altman to Girlie Hepple dated 18 November 1983). Trevor Huddleston, President of the Anti-Apartheid movement, said that 'those millions in South Africa who fight for liberation and independence knew him as a fellow fighter. His integrity and modesty and selfless dedication to the cause of justice will always be remembered' (Letter to Girlie Hepple dated 22 November 1983). Alex Hepple died in Canterbury, England, on 16 November 1983.